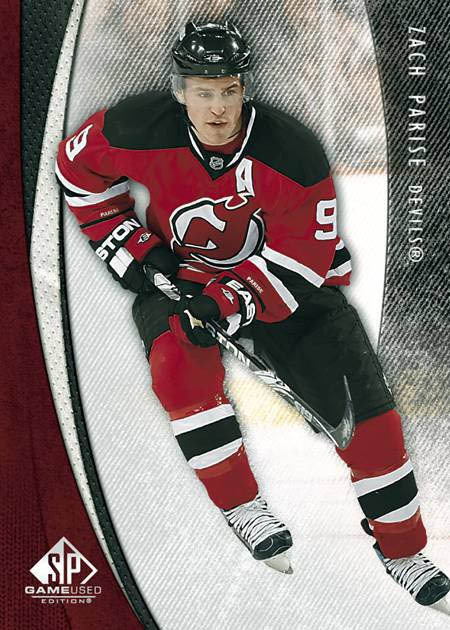 Packed with power and delivering some punch, 2010-11 Upper deck SP Game Used Hockey is back for another season of memorabilia driven hockey cards. 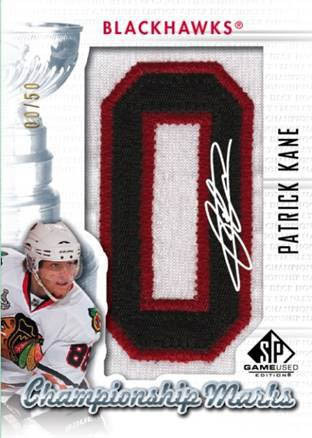 New additions include "Championship Marks", a tribute to the Blackhawks capture of the 09-10 Cup, "Supreme Sticks" (big pieces), "Famous Faceoffs (two-player fight strap cards), and "Game Gear" quad swatch cards. 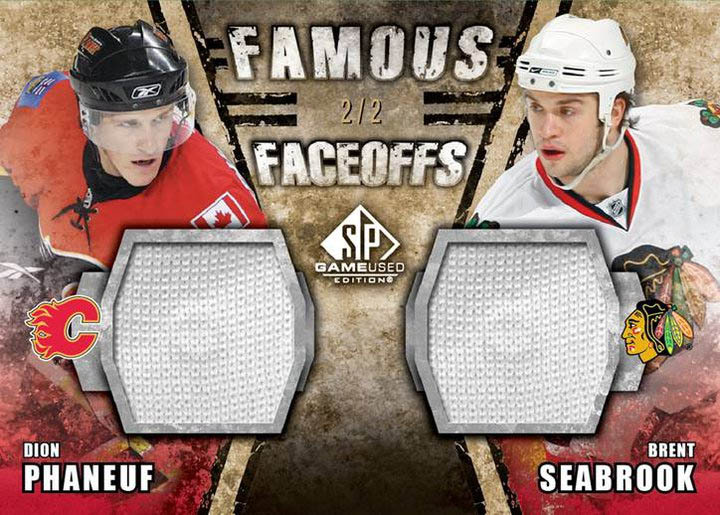 SP Game Used is set to hit the hobby ice this December. 1 hit per pack on average! NEW: Paying Tribute to the Champs: Championship Marks highlights the Blackhawks run in '09-10! Spell out '09-10' with a Stanley Cup in the middle! Supreme Sticks, with huge stick pieces (#'d to 5)! 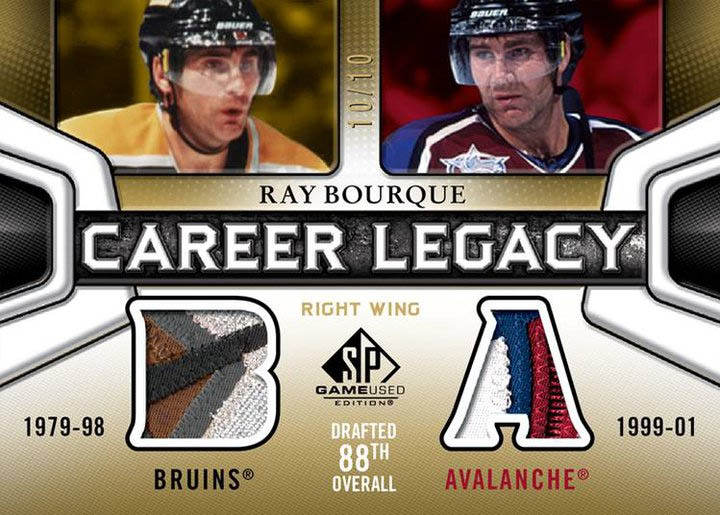 Career Legacy – highlighting heroes who played for 2-4 teams! 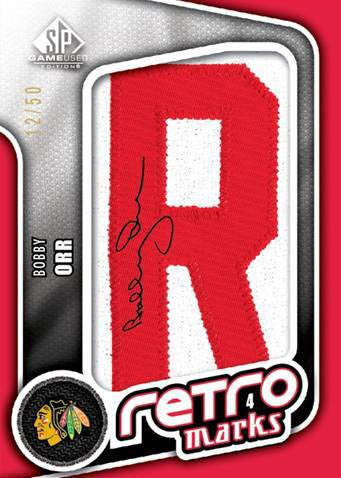 Game Gear (4 Swatch Cards): Ovechkin, Toews, Yzerman, Crosby, Stamkos, Tavares, Thornton, Fleury, Koivu, Brodeur, Duchene, Gretzky and many other superstars! Get 1 autograph & 1 memorabilia card #'d to 100 or less per box! 2-3 Signed Manufactured Patches Championship Marks, Retro Marks, Letter Marks, Team Marks & Number Marks per 12-box case!